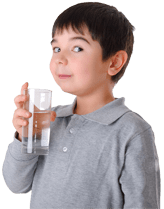 Home / Health Concerns / DO WE TAKE OUR WATER FOR GRANTED? DO WE TAKE OUR WATER FOR GRANTED? Last week, our family experienced a very short time period without water. Though it was only 20 minutes long, it seemed to completely put our lives on hold. It all began with a water leak from our shower faucet, which then turned into a larger issue of not being able to shut off the shower. To resolve the problem, we called our friend who is a plumber. The first thing he did was shut off the water to investigate the issue. Unfortunately, this was all happening while we were in the middle of preparing dinner for some friends who were expected to arrive in 10 minutes! Although we knew the water was turned off, I habitually tried to wash my hands and was somewhat shocked when nothing came out of the faucet. My husband and I laughed. It would’ve been smart to fill up a jar of water before the water was shut off. I found myself craving a tall glass of water to drink. Realizing I couldn’t wash the dishes, I turned to my husband who was dumbfounded by the fact that there was no water to wash the remaining salad vegetables. We both looked at each other and realized there wasn’t much we could do. To accomplish anything I really needed some water! I finally used some of the clean water in the sink to soak a sponge and wipe down the dining table. Our guests arrived right as the water was turned back on and we were able to figure things out. This experience helped me realize how much we take our abundant clean water supply for granted. According to today’s water facts, 780 million people lack access to an improved water source; that is approximately one in nine people! And more than 3.4 million people die each year from contaminated water. Obviously, lack of access to clean water is more of a concern than most realize. It’s a matter of life and death! How different would your day look if you did not have access to a reliable source of pure water? I can’t imagine a whole day without it, as I only experienced 20 minutes! As our world population grows every year, so also the demand increases for a clean water supply to drink, bathe, cook, and sustain life with. Our family is grateful to live in such fortunate conditions. We continue to grow in appreciation for the blessing of clean water daily!